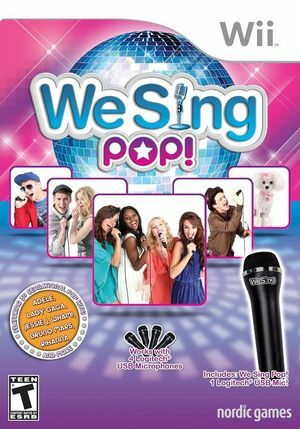 We Sing Pop! is a 2012 Music video game, part of the We Sing series. The game features songs from the pop genre of music, covering popular songs from decades of music. The game was announced along with We Sing UK Hits and We Sing Rock! at E3 2011. The graph below charts the compatibility with We Sing Pop! since Dolphin's 2.0 release, listing revisions only where a compatibility change occurred.